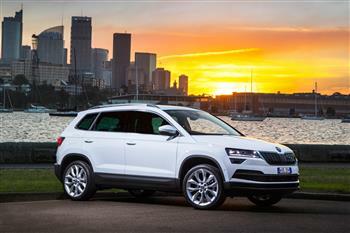 ŠKODA's first five seat medium SUV goes on sale from July 2 priced from $29,990 for the manual and $32,290 for the DSG. The ŠKODA KAROQ embodies the European brand's "Simply Clever" ethos with an ingenious VarioFlex system that confers the ability to entirely remove the rear three seats. Indeed, the KAROQ, though fractionally smaller than key rivals by exterior measurement (see table), is more spacious in most interior aspects. The KAROQ can be a five-, four-,three- or two-seater. With rear seats fitted and fully pushed back, the KAROQ's luggage compartment affords 479 litres. 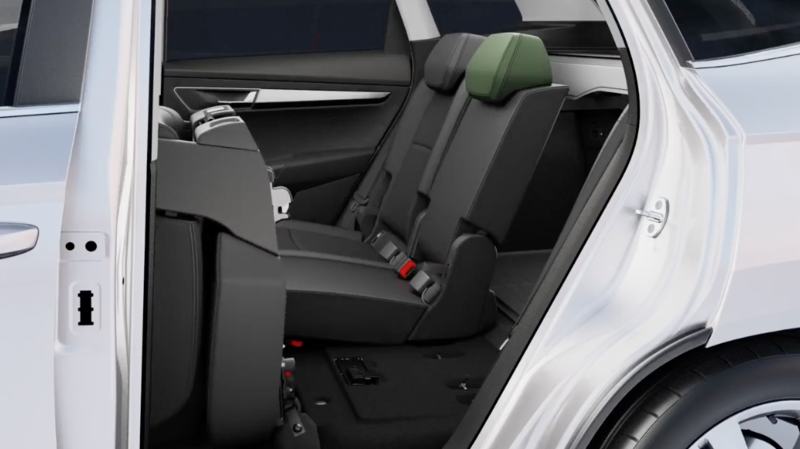 Push these seats forward and the space increases to 588 litres. Fold them flat and you have 1605 litres. Take them out - a task easily accomplished – and there's a massive 1810 litres to fill. Initially offered with the latest generation 1.5-litre four cylinder turbo petrol engine with cylinder deactivation driving the front wheels through a seven speed Direct Shift Gearbox or six-speed manual, a more powerful all-wheel drive version is planned for 2019. And 250Nm from a low 1500rpm to 3500. The KAROQ gets from standing to 100km/h in 8.4 (manual) or 8.6 seconds. Combined fuel consumption in the manual is 5.7l/100km (manual) or 5.8L. As with all ŠKODAs, the KAROQ is backed a by a five year factory warranty.